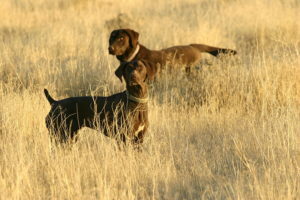 As with any outdoor sport, the Golden Rule is Stay Safe, and that holds true for both hunters and hunting dogs. Hunting Season offers great outdoor adventure for both dogs and owners, and just as hunters prepare their gear, so should they prepare their dogs for a safe and memorable hunt. 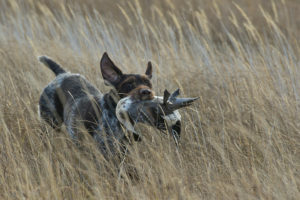 Make sure that your dog is in shape for the outdoor rigors of hunting. A conditioning program before venturing out and throughout the season will help develop and maintain fitness and endurance. Don’t push beyond limits, take rest breaks and bring plenty of water with a collapsible dog bowl. 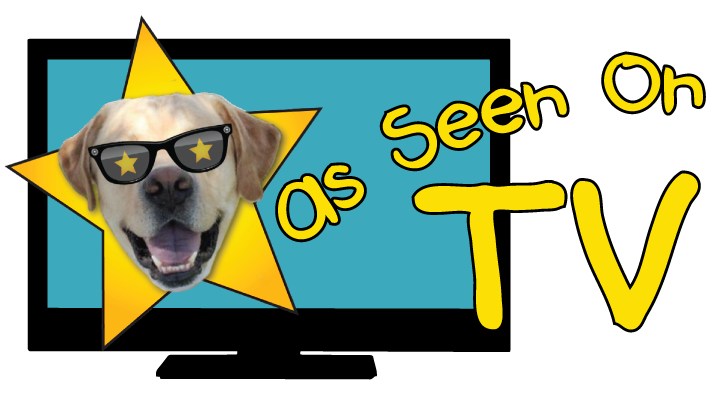 Be especially aware of signs of heat exhaustion, and check paw pads for extreme wear or injury. It’s a good idea to trim nails to keep them from tears in the field. Hunting dogs need to be protected against exposure to bacteria and viruses, so in addition to Rabies and Parvo inoculations, they should be current on Leptospirosis and Bordetella vaccines. They should also be tested for Heartworm and be on a monthly oral preventative, such as Heartgard. Microchips and sturdy ID Tags are critical to retrieving lost dogs. Also carry a current photo to help with location and identification, so everybody gets home safely. 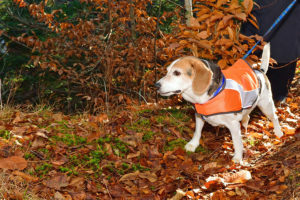 Outfit hunting dogs with high visibility vests and collars that are durable enough to withstand hunting conditions. Fields are notoriously full of foxtails, so check regularly for them lodged in ears, eyes, mouth, nose, paws and fur. The pointed barbs can work their way into the body, causing infection and organ damage, so it’s best to get to them before they dig into your dog. Snakes can also pose danger while hiking. 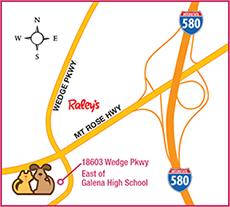 It’s a good idea to enroll your dog in Rattlesnake Avoidance Training prior to venturing out, so that it’s trained to steer clear of danger. Never leave hunting dogs unattended, so you don’t end up hunting for your dog instead of game. Another rule for staying safe is to Be Prepared. That means not only to prepare for the hunt with all the necessary training and gear, but also to bring along those items that may be needed when the unexpected strikes. That includes a complete First Aid Kit! 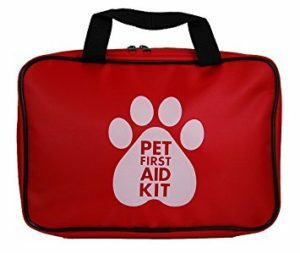 Administering First Aid to a dog can be a stressful situation, so be prepared with a well-supplied First Aid Kit customized for pets. Gauze pads in various sizes with first aid tape and non-adhesive vet wrap that won’t stick to fur. Blunt tip to easily slip between skin and bandage. To remove splinters and foreign material from wounds. Useful to induce vomiting. Check with vet first! To treat allergic reactions from insect bites and stings. To keep small wounds and lacerations free of infection. To help stop bleeding from broken or torn nails. To gauge how sick a dog it. Average temp is 100 to 102.5 degrees. Temp lower than 100 or over 104 requires immediate emergency attention! 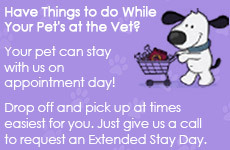 To hydrate, flush wounds, soothe burns, wash off toxins and cool overheated dogs. Also Good to Have: Soft Muzzle, Compact Thermal Blanket, Towels, Latex Gloves, Knife, Needle Nose Pliers, Duct Tape and Super Glue. Be sure to tape a List of Emergency Numbers, along with your dog’s Microchip Contact Info and ID Number, to the inside lid of your waterproof Canine First Aid Kit! While out enjoying the hunting season, know that being prepared for both you and your dog is key to staying safe.